After Cheyenne Martin's death, everyone at Easton Academy is struggling to recover from yet another tragedy-especially the girls of Billings Hall. With Cheyenne gone, they need to elect a new leader. And who better than Reed Brennan, the ultimate Billings Girl? As the new Billings president, Reed suddenly has access to power she never imagined. Gossip is reported to her immediately, she has first dibs on everything from dining tables to dorm rooms, and Billings's most powerful alumnae are at her beck and call. 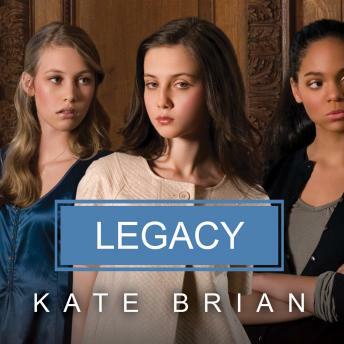 So when Easton's students discover they're the only prep school on the East Coast not invited to this year's all-inclusive Legacy party, everyone turns to Reed to get them back on the list. Reed is the most powerful girl at Easton. She revels in her newfound status but knows better than anyone that the Billings leaders have a tainted legacy: Ariana was institutionalized, Noelle was expelled, and Cheyenne just died. History has a way of repeating itself at Easton, and now that Reed has everything she's ever wanted, she has everything to lose.